Easily and RELIABLY conceal the pistol of your choice under almost and surface! Perfect for under your desk, bed, or any shelf. And also great for a quick-draw in your safe or closet. You get a STRONG 25 lbs capacity, and the peace of mind that comes from knowing you’re ready for anything. BOOMSTICK ACCESSORIES delivers again, with the SHOOTER in mind! RELIABLY conceal the pistol of your choice under almost any surface, with BOOMSTICK ACCESSORIES high-test top-mounting pistol magnet. This 25 lbs rated, weather-proof, and shock-proof neodymium magnet is perfect for mounting under almost any table, desk, shelf, or bed. But it also works just as great for under a bed frame or even in the safe, for a truly quick draw. Don’t settle for just anything, this is one of the strongest magnets on the market today! 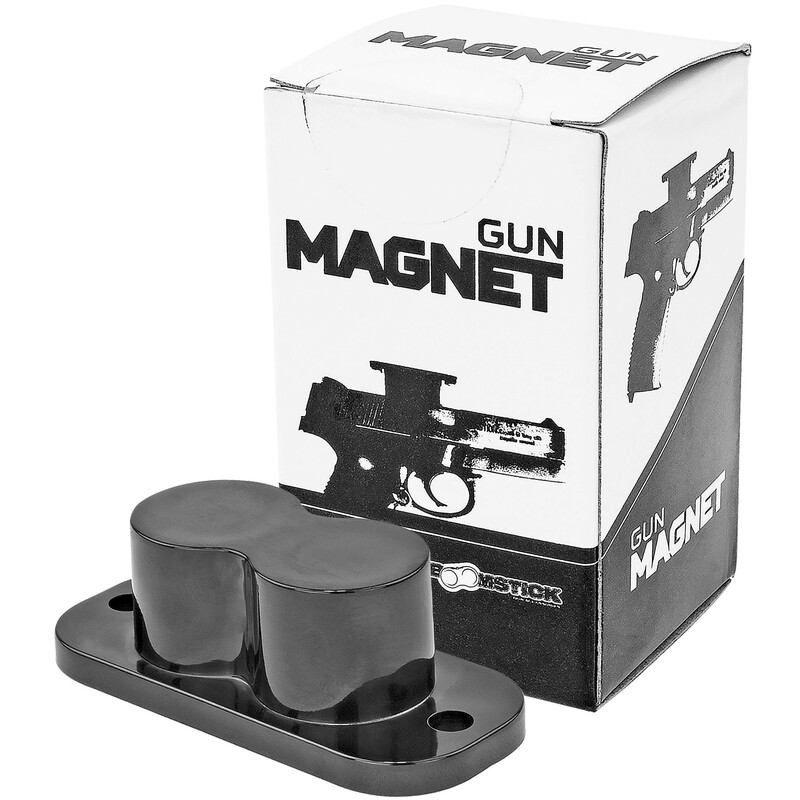 Giving you the peace-of-mind and security you need when it matters most, this unassuming-looking magnet allows you to securely conceal almost any pistol, and be ready when YOU need to! You get simple design, that comes with the GUN OWNER’S NEEDS FIRST and ensures you get a high-quality magnet that’s built specifically for the task, and ready to secure your spot for decades to come. Mount this magnet with YOUR OWN appropriate hardware, depending on the surface, to ensure security. No screws are included to make sure you make the best choice for your unique needs. Simplicity, proper design, and strength come together to give you gun magnet you can count on, with a minimum of fuss and fiddling. Here’s to your safety, friend! Color is black. Includes one magnet. Mounting hardware is not included. Mounting holes are 0.19" in diameter. Overall dimensions are 2.40" x 1.02" x 0.79".